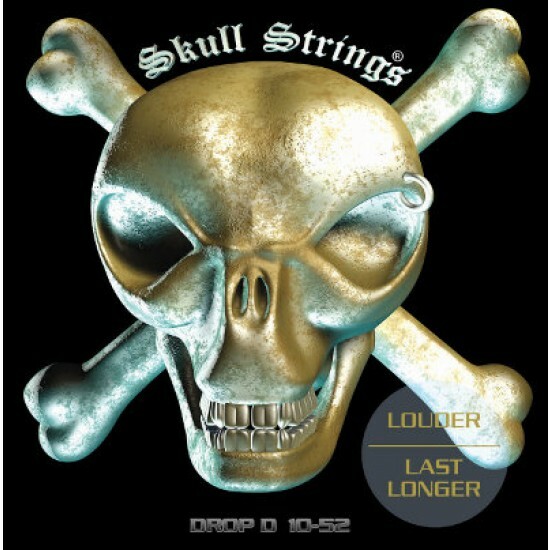 Ideal for guitarists who are extremely demanding, these strings will remain perfectly balanced when you drop tune them and will keep your guitar neck from warping. Made in the USA from high-quality imported Swedish metals that contain over 17 % chromium, this high grade stainless steel forms an invisible, tenacious and highly protective passive layer of chromium oxide which forms on the surface. It's the presence of the element chromium in excess and the humidity in the air that are responsible for the formation of this layer. Once this layer deteriorates, it regenerates itself by the same process. 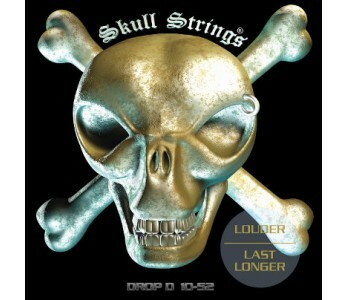 This unique process makes SKULL Strings resistant to corrosion and oxidation.